This year we're excited to introduce a few NEW holiday items to our Etsy shop for the beer lovers and homebrewers on your gift list. 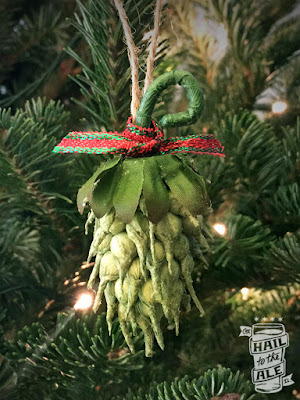 • Our unique, hand crafted hop ornaments made from silk flower components and decorated with rustic twine and ribbon. 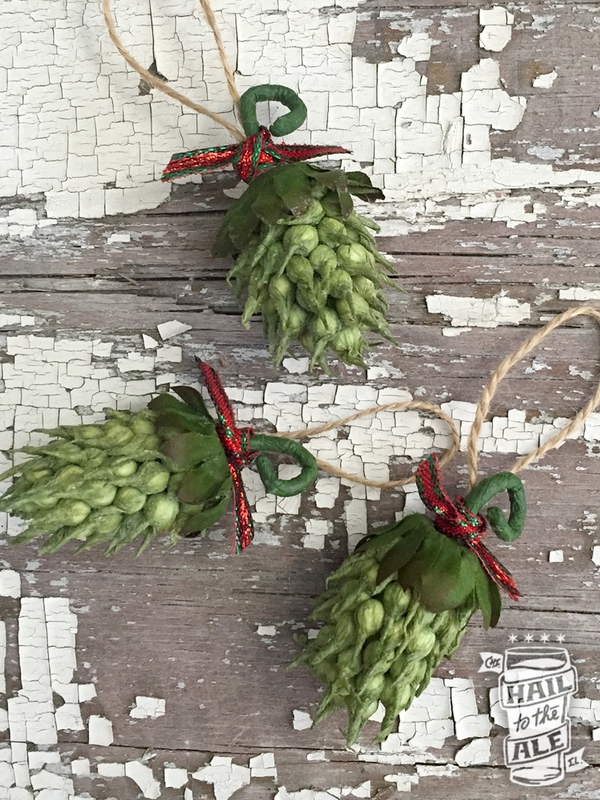 These ornaments are available for purchase online for a limited time in our Etsy shop. Hops vary slightly in shape, size and shade of green. 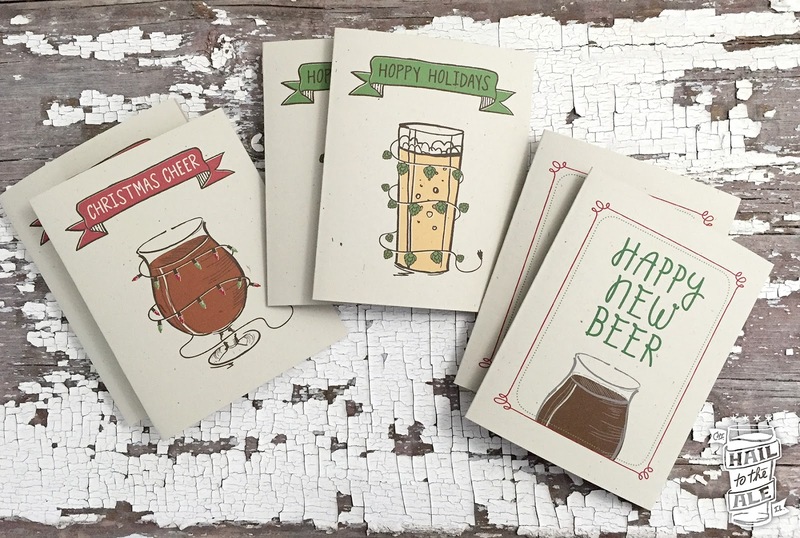 Dimensions: approximately: 3" x 1.5" x 1.5"
• A new series of folded beer-themed holiday cards, including "Hoppy Holidays", "Christmas Cheer" and "Happy New Beer." Cards can be purchased individually, or in packs of 6 or 12 cards. Cards are 4.25" x 5.5" and come with an accompanying A2 (4.375" x 5.75") envelope. For custom orders please send us a message via our Etsy shop and we'll be happy to accommodate your requests. Cheers! ABV Chicago Holiday Party Episode 100!